Syria has dismissed -- as an infringement on its sovereignty -- a peace roadmap hammered out by the Arab League foreign ministers while Saudi Arabia suggests the plan is stillborn and the League itself is incurable. Saudi Arabia pulled out of the League's Syria observer mission, whose mandate was renewed for another month on Sunday, saying Damascus had broken promises on the earlier Arab peace protocol. The new League proposal, to be presented to the United Nations Security Council for endorsement, mirrors the Gulf plan on Yemen that saw President Ali Abdullah Saleh agree to leave office. It calls on President Bashar al-Assad to delegate power to his vice-president to engage in proper dialogue with the opposition within two weeks, and form a national unity government in two months, followed by presidential and parliamentary elections. Tariq Alhomayed, chief editor of the leading Saudi daily Asharq Alawsat, which reflects and articulates official Saudi thinking, wonders if there are other Arab takers of the kingdom’s position on Syria. Saudi Arabia has shut out all procrastinators, dawdlers and conspirators against the Syrian people and their revolution. It has shut out all those trying to bail out the tyrant Assad when its foreign minister announced the withdrawal of Saudi monitors from Syria and appealed to the international, Arab and Islamic communities to exert all efforts possible to spare Syrian blood. Foreign Minister Saud al-Feisal went further. He received a Syrian opposition delegation led by Burhan Ghalioun while the Arab League’s ministerial panel on Syria was in conference. This means he sought to bring down the curtain on dilly-dallying in the Arab League. He showed Saudi Arabia was determined to exercise its leadership role in the Arab and Moslem worlds in order to safeguard Syrian blood. His meeting with the Syrian opposition effectively tore up Gen. Mohammed al-Dabi’s progress report on the observer mission he headed in Syria. Dabi’s report comes across as being submitted to Assad, confirming that the Arab League is irremediable. 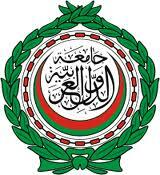 The Arab League’s role is bound to become worse when Nouri al-Maliki’s Iraq assumes the League’s rotating chairmanship. A lifeline would be thrown to Assad then, since Tehran is now openly declaring that Iraq is in Iran’s sphere of influence. Having said that, the way forward is (1) to set up a regional alliance comprising Saudi Arabia and its Gulf partners, Turkey and other willing Arab and non-Arab states to take charge of the Syria file, and (2) for the five other members of the GCC to follow in Saudi Arabia’s footsteps and meet with Burhan Ghalioun and co-opt the Syrian opposition.